by Danish painter Carl Heinrich Bloch, d. 1890. Submit your Cleveland Christian news and events. 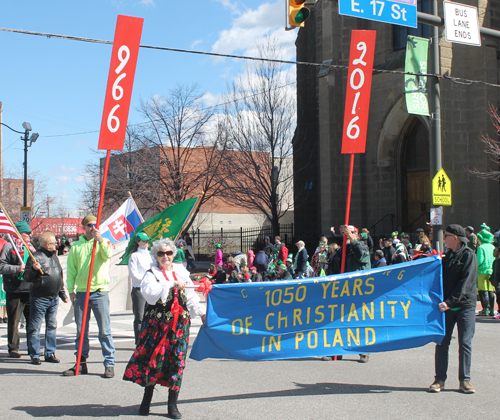 Cleveland's Polish community from St. Casimir Church celebrated 1050 Years of Christianity at the 2016 Cleveland St. Patrick's Day Parade. Groom is a town in Carson County, Texas with a population of 574 at the 2010 census. It is part of the Amarillo, Texas Metropolitan Statistical Area. There is a 19-story cross located next to Interstate 40 just northwest of the town limits. This 190-foot-tall (58 m) free-standing cross can be seen from 20 miles (32 km) away. 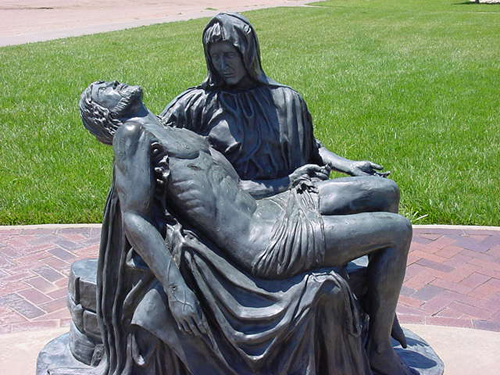 Surrounding the base of the cross are life-sized statues of the 14 Stations of the Cross. The Stations receive thousands of stops daily and millions stop annually. 'When Jesus says yes' sung by K.A.T. 3 ladies from a group called K.A.T. 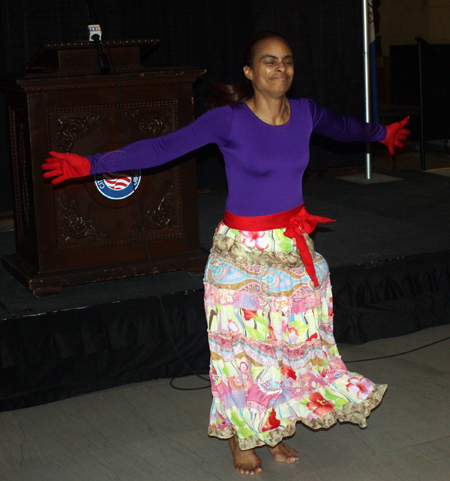 (short for Khamia, A'Shontay and Talia) sang the Michelle Williams song 'When Jesus say yes, nobody can say no' just before the 2015 Cleveland African-American Umoja Parade. Umoja is the Swahili word for "unity". The week following PASCHA (Easter) is called "Bright Week" in the Eastern (Orthodox) Christian Church. During Bright Week there are many different ways to enjoy this "Feast of Feasts" - including the "Sprinkling Days"! On Monday within some of the various nationalities who are Orthodox, the boys seek out the girls of their parishes to "sprinkle" them - usually with scented water - and on Tuesdays, the girls seek out the boys to do the same "sprinkling"
Members of the Indian Christian Association of Northeast Ohio have been gathering to celebrate Christmas for over 30 years. 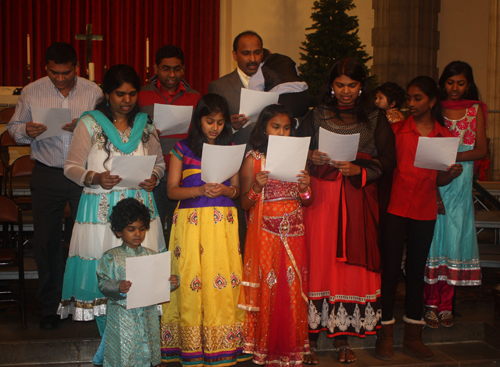 At the service, the group sings hymns in both English and native Indian languages. The 2014 event was at the Church of the Savior in Cleveland Hts. Ohio. Songs were sung in Telugu, Hindi, Tamil, Malayalam and English. Rev. Mark Rollenhagen of Faith Lutheran Church in Lakewood Ohio spoke told how all that we know about God is what God has revealed to us. We don't know the entirety of God. He also mentioned the Mysteries of Christ being present in Holy Communion, the Holy Spirit and the Holy Trinity. Scott Duncan, Chief of the Scottish American Society (SHANO), reads the Beatitudes in Old Scots and then begins the Kirkin o' the Tartans ceremony in Cleveland. 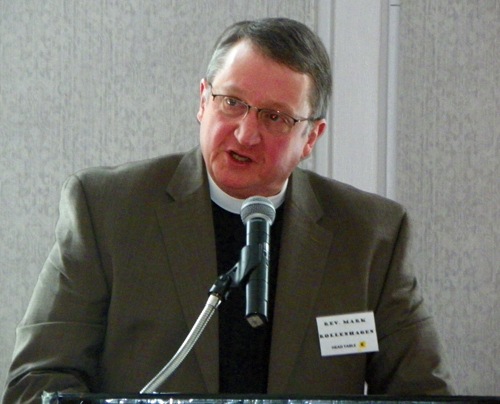 In 2005, Lutheran Metropolitan Ministry began administering the men's shelter at 2100 Lakeside Avenue. The shelter serves up to 350 men per night with an additional 30-60 beds available at partner overflow sites. 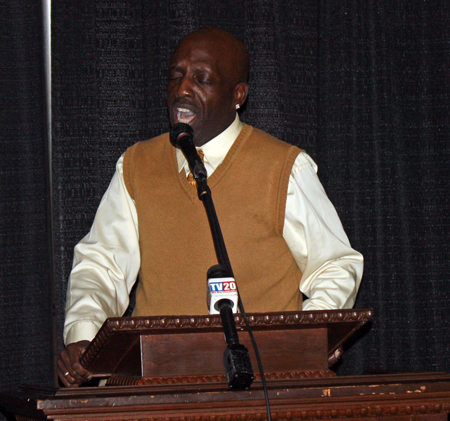 Social service partners provide on and off-site services to increase resident self-sufficiency. The staff offers hope while providing support for men in transition and in crisis. 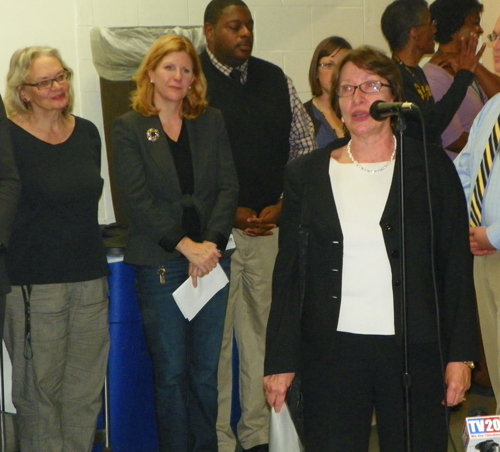 On Monday October 22, 2012 the LMM welcomed the Korean American Association to the shelter. For the 3rd year in a row the Korean American Association visited the 2100 Lakeside Men's Shelter and brought with them 350 meals and 350 heavy winter jackets. Two years ago, the Korean American Association donated 500 blankets. Last year they also donated winter coats. See more from the event at the shelter. 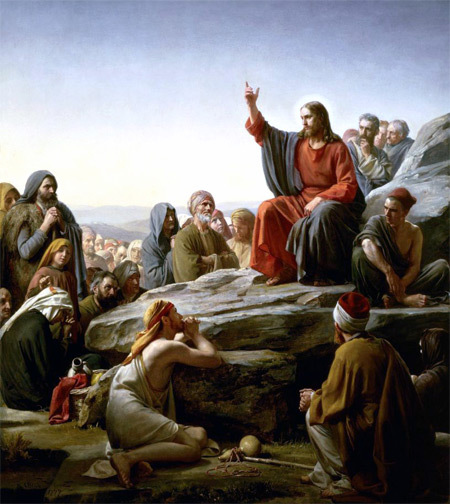 On June 8, 2012, Alex Machaskee, representing the International Orthodox Christian Charities, Inc. (IOCC) told how "All are beggars before the Lord: and since God does not deny us, we should not deny others. He spoke at an event for Ambassador Andrew S. Natsios who spoke about Sudan. 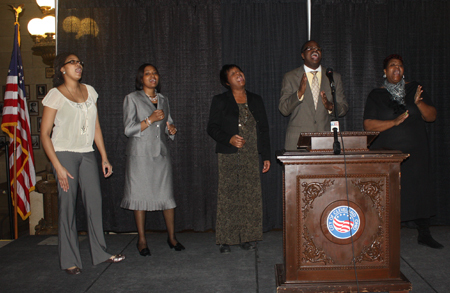 Singing the 'Our Father' to begin the African-American festival in Cleveland. Michael Williams from Calvary Church of God in Christ in Cleveland singing a powerful rendition of "I know I've been changed"
Pastor Anthony Parker leading the Youth for Holiness choir in singing several Gospel hymns including "Thank you Lord" and "For Your Glory." The choir also sang "For Your Glory." 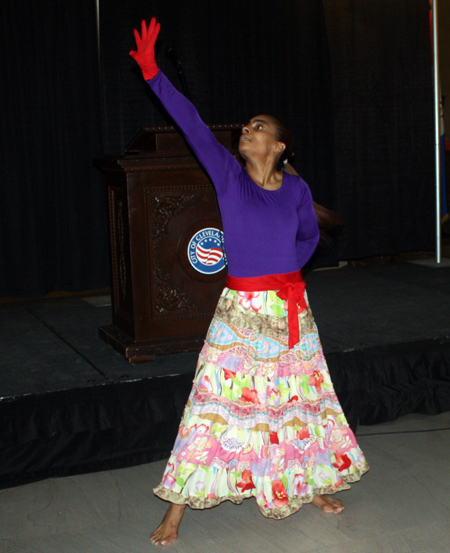 Cynthia Troutman of Seeds of Judah Dance Ministry in Cleveland performing a moving Praise Dance. Submit your Cleveland Christian photos and event recaps. Work in progress. Thank you for your patience. 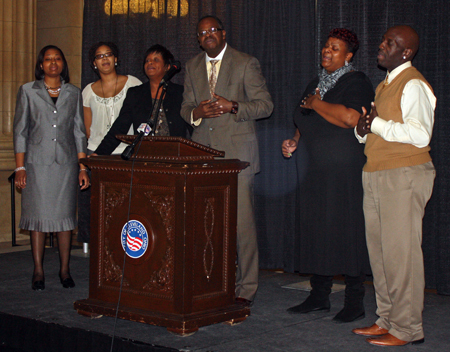 Submit your Cleveland Christian organizations and resources. Submit your Cleveland Christian jobs, classes and other opportunities. Submit your Cleveland Christian feedback and memories. Submit your Cleveland Christian cultural items. ALL BUT ONE!!! He paused, took a deep breath, got in touch with his feelings and experienced a twinge of compassion for the girl whose apple stand had been overturned. He told his buddies to go on without him, waved good-bye, told one of them to call his wife when they arrived at their home destination and explain his taking a later flight. Then he returned to the terminal where the apples were all over the terminal floor. When he had finished, he pulled out his wallet and said to the girl, "Here, please take this $40 for the damage we did. Are you okay? "She nodded through her tears. He continued on with, "I hope we didn't spoil your day too badly." He stopped in mid-stride .... and he wondered. He gently went back and said, "No, I am nothing like Jesus - He is good, kind, caring, loving, and would never have bumped into your display in the first place. "The girl gently nodded: "I only asked because I prayed for Jesus to help me gather the apples. He sent you to help me, so you are like Him - only He knows who will do His will. Thank you for hearing His call, Mister." That's our destiny, is it not?To be so much like Jesus that people cannot tell the difference as we live and interact with a world that is blind to His love, life and grace. You are the apple of His eye even though you, too, have been bruised by a fall. He stopped what He was doing and picked up you and me on a hill called Calvary and paid in full for our damaged fruit. For a Christian there is no greater or more meaningful holy day than Easter Sunday. It is the day that Jesus Christ, the Son of God, rose from the dead. It is the day that all of the promises God had made to his people were finally and completely fulfilled. Some of the modern Easter traditions may seem far removed from the original, spiritual meaning. A closer look at them may help understand their connection. Remember - Christ is The Reason' for the Christ-mas Season! If you are interested in being considered to be an official ClevelandPeople.com Ambassador to the Cleveland Christian community, please contact us. If you want to reach the Christian community in Cleveland and Northeast Ohio, please contact us.